Facebook Live allows you to connect and engage with your viewers in real-time. This makes it a powerful and extremely useful tool for bloggers, influencers, and brands alike. But the thought of broadcasting live to thousands of followers can be daunting. Don’t worry! In this article, we will cover the basics of how to go live on Facebook, preparing you for a fun and successful live experience. So get ready to find out how to go live on Facebook! Facebook has recently stated that ‘live video on average gets six times as many interactions as regular video’. And with the Facebook algorithm now ‘prioritizing posts that spark conversations and meaningful interactions’, live video has become an important medium. But what exactly is Facebook Live? Facebook Live allows you to broadcast live videos on your Facebook page. 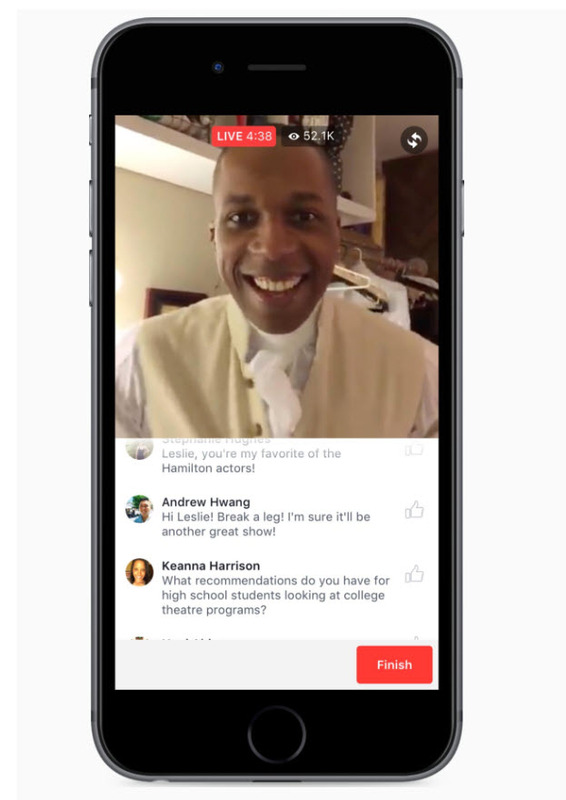 Live is available to all Facebook profiles and pages, on iOS, Android, or via the Facebook Creator app. Live recordings can last up to 4 hours and will appear in news feeds and on the broadcaster’s profile or page. Once finished, videos will display on the page or profile of the broadcaster until they choose to remove it. Used correctly, Facebook Live provides a powerful way to connect with your followers, grow your audience, and promote your business. Live video lets you share your thoughts and feelings with your audience, and build relationships with your viewers through real-time moments. If you are new to Facebook Live, then before going live you will need to first rehearse. Talking on live video doesn’t come easily to many, but the more you practice the easier it will get. What type of broadcast it will be – Look at the previous list; will your live video be a lesson, a question and answer session, a discussion on recent news in your niche, or something else? Write notes and practice using them – To keep your broadcast flowing and to stop you getting tongue-tied, create notes that you can follow if you need to. Practice live without an audience – Facebook allows you to select an audience of Only Me, so you can record yourself live and then watch it back to help critique your performance. (We will show how to choose this preference further on in the article). Remember, it is called Facebook Live for a reason – No one is expecting a perfectly presented video, and in fact, the more natural the performance the more your audience will respond to you. Once you are confident with your rehearsed live video, then you are ready to promote your broadcast. It is important to tell your fans, ahead of time, when you will be broadcasting. This helps build anticipation and gives people time to make sure they are free and available to watch during the scheduled period. Post status updates telling people when you will be live, and what you will be talking about. Change your Facebook cover photo to display an image promoting your broadcast, with text overlay declaring the time and subject of your live broadcast. Promote your live video session on other social media channels, on your WordPress website, and via your email list. Make sure you take the time to effectively promote your broadcast. The more you get the message out there, the higher the number of viewers you will receive. Before you are ready to broadcast, you will need to customize your live video’s settings. 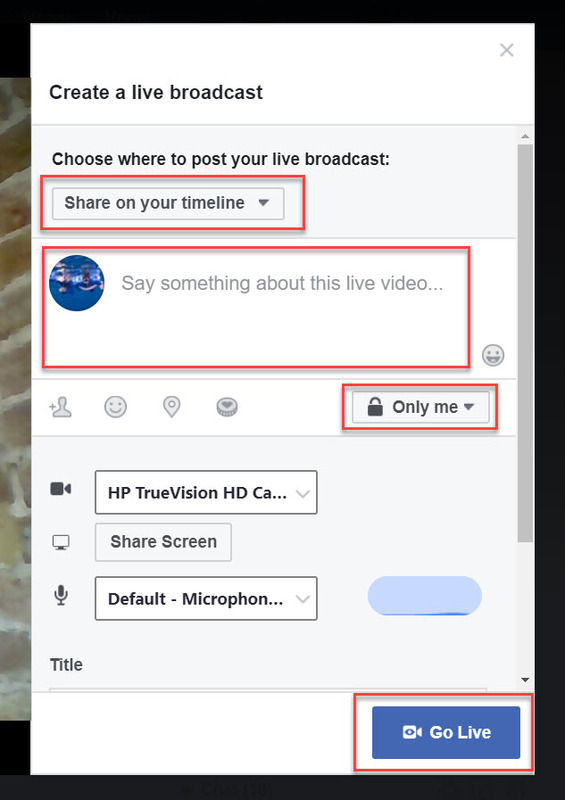 To do this, you will need to select Live Video from the top of your Facebook news feed. Facebook will then ask you to authorize its use of your computer’s camera and microphone. Choose where to post your live broadcast – Here you can choose whether to share your broadcast on your timeline, in a group, in an event, or on a page you manage. Write a description for your broadcast – A catchy description will grab people’s attention, help them to understand what your broadcast is about, and compel them to watch you. Select who should see the broadcast – Pick your audience, with choices ranging from Public, to Friends, Specific Friends, and Only Me. (The last option is perfect for those wanting to practice live video without an audience). Title – Give your broadcast a title that reflects the topic you will discuss. Tags – If you are broadcasting on a page you can add tags to help make the video more discoverable. Under Settings, you can also change the camera and microphone you are using, as well as select the option of going live with a video game, or sharing your screen with another presenter (discussed further on in this article). Once you have completed the live broadcast settings, you are ready to go live. To do so, simply select the Go Live button at the bottom of the settings tab. Always make sure you have a strong internet connection before going live so the quality of the broadcast isn’t compromised. Wifi works best, but 4G is also a good option. If your internet signal isn’t strong enough you will find the Go Live button is grayed out. After clicking the Go Live button, you will receive a countdown from 3 to 1. A red Live button will then be displayed in the top left-hand corner of the screen, telling you that you are live. Once you have gone live, wait a couple of minutes or so before you start your chat. This will give your audience time to find you. Say Hi to commenters by name, and thank them for commenting. Try and answer questions as you go, or run a specific question and answer session at the end where you can encourage people to ask any questions that they may have. Ask people to like your video if they are enjoying the broadcast. Encourage people to click on the Follow button, so they can get notifications when you next go live. Use a closing line like ‘thanks for watching’ or ‘see you next time’. This will help bring the broadcast to a natural end and avoid an abrupt finish. Facebook recommends that live videos last a minimum of 10 minutes. However, you actually can broadcast for up to 4 hours, so run the video for as long as is appropriate for the subject. To finish a broadcast, simply select the End Live Video button. Facebook will now ask you whether you would like to Save or Delete your video. Unless deleted, your video will appear on your timeline, page, or group. Pin the video to the top of the page – Make it easy for your followers who missed your live broadcast to find and watch the video. 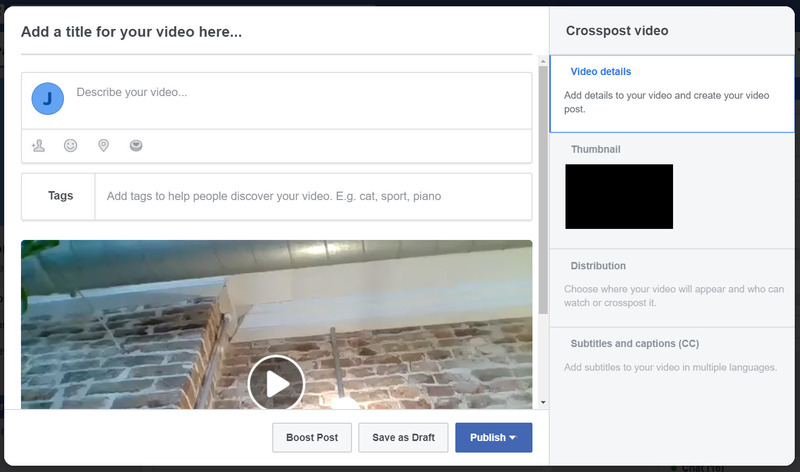 Edit the post – Change the description or title, upload a custom image to use for the video’s thumbnail image, post the video to another page, and much more. Schedule an expiry date / Hide from timeline / Delete from page – Take control of how long your content is displayed for, ensuring your audience views interesting and varied content when they scroll down your page. If you didn’t answer questions during the live broadcast, you may also want to go back through and reply to the comments. This personal touch will go a long way to building relationships with your viewers and help create loyal followers. Run a live video for a select audience – As discussed earlier, in the live video Settings you can choose the audience you broadcast to. One of these options is to post in a Facebook group. This can be extremely useful to share news or messages with your group members and help build an interactive community. Share screens – Also in the Settings options, you can select to share a screen with another presenter. As you start to broadcast more regularly, having guests present with you can be an effective way of adding an extra dimension to your videos, turning them into discussions or interviews. Live Gaming – You can go live with your gameplay on Facebook live, enabling your followers to watch as you play. To do so, in the Settings, tag the game you want to play. Live 360 – Facebook has recently introduced Live 360 video. This immersive video experience will help you share your reality with your audience. To utilize this feature you will need a 360 camera. 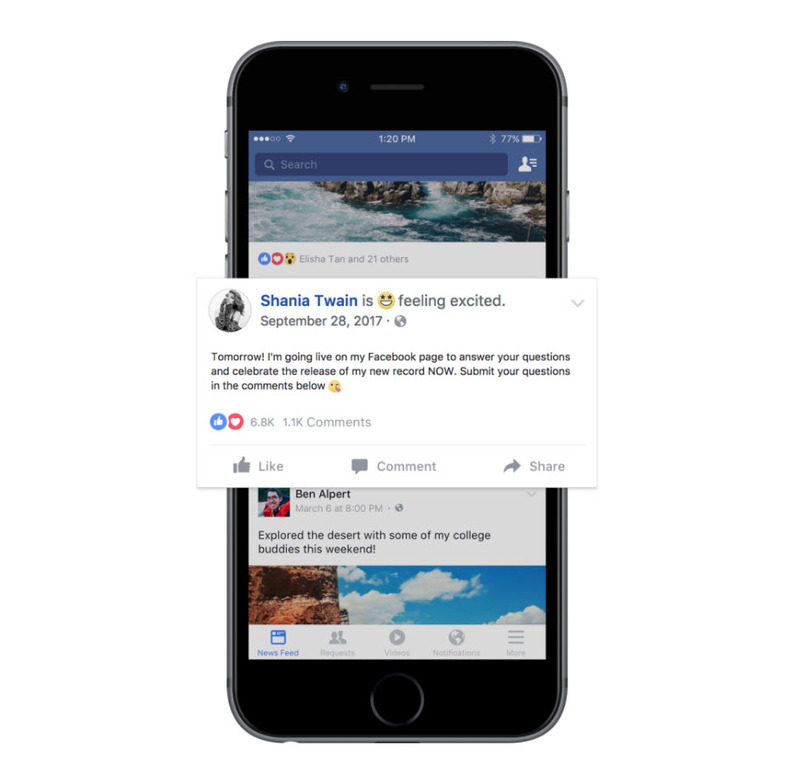 You should now have a clear idea on how to go live on Facebook. Above all else, enjoy your live experience and relax once the camera is rolling. Your followers want to meet someone they can connect with and relate to, which will consequently help you build a loyal, lifelong following. And remember, the more you get used to broadcasting, the easier it will become. For more business tips on how to go live on Facebook, check out this article 5 Ways to Use Facebook Live for Business. Do you have any tips for our readers on how to go live on Facebook? Please share your thoughts in the comments below! The post How to Go Live on Facebook and Boost Community Engagement – A Beginner’s Guide appeared first on Revive Social.